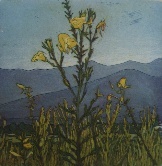 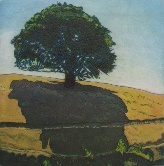 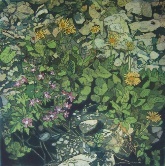 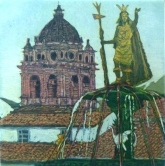 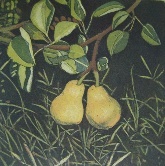 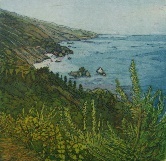 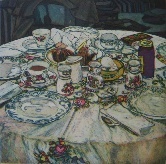 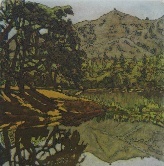 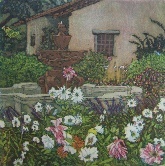 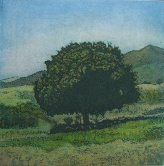 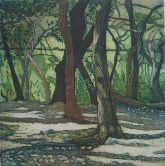 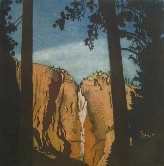 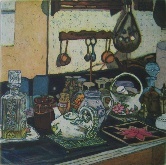 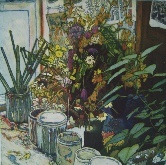 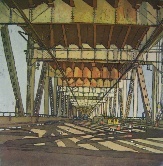 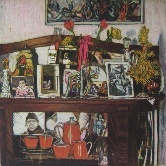 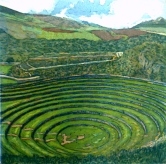 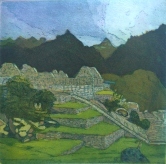 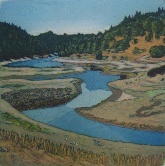 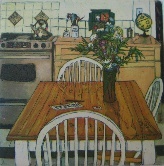 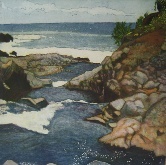 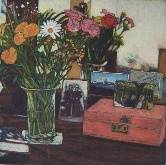 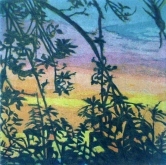 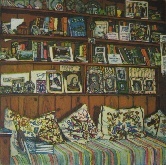 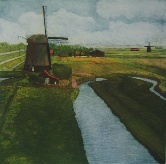 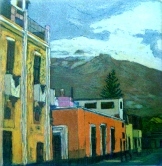 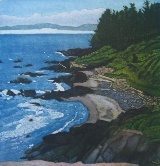 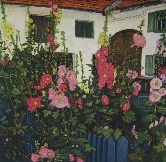 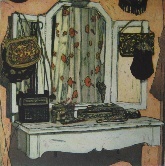 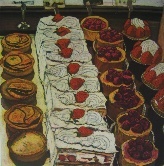 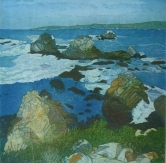 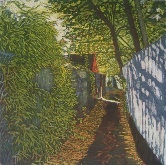 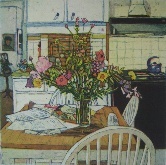 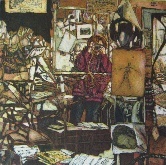 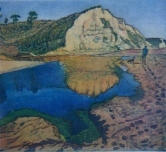 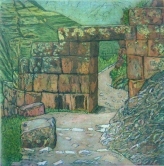 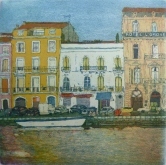 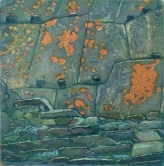 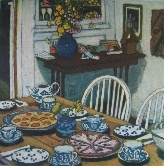 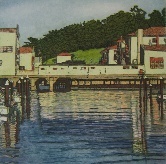 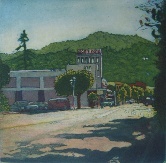 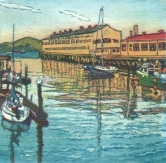 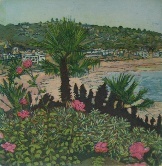 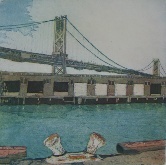 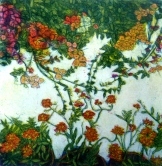 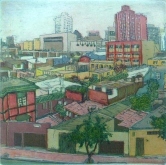 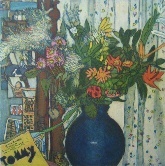 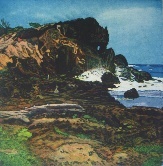 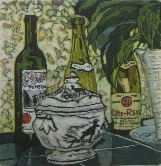 This multiple plate color etching is part of the Coast Walk series. 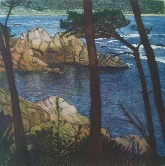 In this diptych, the top part shows the Big Sur coastline and the bottom part is a view from within Point Lobos State Park. 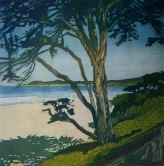 Both vistas are of the California coast just south of Carmel.